We know that shared identity is a tool used to gain the confidence of people before defrauding them, and we suspect that it works especially well for an identity strengthened by current discrimination or a history of persecution. Bernard Madoff’s exploitation of the Jewish identity to recruit for his Ponzi scheme is a recent example of how this is done, and many more cases exist. An interesting follow-up question has rarely been considered, though: what happens to the identity after the fraud has been discovered? In a very creative and solid piece of research, ChristopherYenkey explores this issue in AdministrativeScience Quarterly. His case is one of a stock brokerage in Nairobi that defrauded one-quarter of its clients (about 25,000 people). The clients were from many ethnic groups, and the brokerage was clearly identified with one of them. This is a dilemma for members of the defrauding (and also defrauded) ethnic group: who should they trust, and how much? 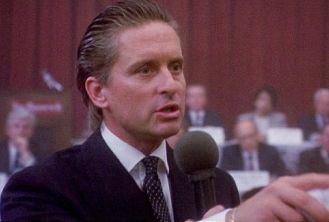 For those not part of the defrauding group, the choice is easier: after the fraud, they trusted the group affiliated with the brokerage less, and trusted the institution of stock brokerages less, so they invested less than they had previously. This effect was strongest for ethnic groups that were rivals of the ethnic group connected with the fraud, as opposed to neutral ethnic groups. Yenkey, Christopher B. 2017. Fraud and Market Participation:Social Relations as a Moderator of Organizational Misconduct. AdministrativeScience Quarterly, forthcoming. Firms are under continued pressure to certify themselves as virtuous, good, effective, high quality, and any number of other positive things. Often they display the certification prominently. For example, if you type “General Motors ISO” or “General Electric ISO” into Google, it will fill in “9001,” because both companies display prominently on the web that they are ISO 9001 certified. There is an interesting exception to this. Many firms are certified as environmentally responsible through the Dow Jones Sustainability Index, but four out of ten DJSI firms do not display this certification. Why would a firm with such a positive achievement not promote it? Chad Carlos and Ben Lewis have a new article in Administrative Science Quarterly that looks at the reasons for this silence, and they find that it is a strategic silence. They are silent because it is a way of avoiding attention, and attention to sustainability could be risky for the firm. Firms don’t announce why they stay silent about an environmental certification, of course, but we can see how they behave. Carlos and Lewis found that they are more likely to invoke strategic silence if they run the risk of looking like hypocrites. The main problem for firms is to lose their reputation through being called out as less sustainable than they claim to be or should be. So, we should expect firms that have good environmental reputations to be more concerned about looking bad if their commitment to the environment is called into question. That is exactly what Carlos and Lewis found. Shareholders can file resolutions against firm actions that go against sustainability. 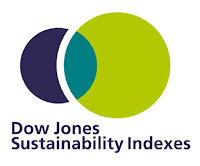 If they do, and if the firm has a good environmental reputation to begin with, the firm is especially likely to be strategically silent about the DJSI certification. 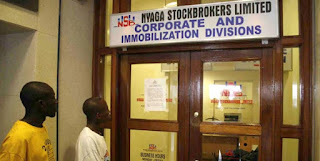 Other stakeholders can target the firms through boycotts, demonstrations, and other protest actions. If they do, and if the firm has a good environmental reputation to begin with, the firm is likely to be strategically silent about the certification. It’s clear that those firms already seen as good on environmental issues are very careful not to have this reputation damaged by any charges of being hypocritical. That means sometimes keeping the sustainability certification out of sight, to avoid attracting attention. How to change an organization? The answer to this question is made surprisingly difficult by all those who think that change is unnecessary, change is risky, and in any case it should be change that favors their favorite option; nothing else will do. Using history to promote a change effort is an old trick that makes a lot of sense, because it is a way of claiming that change is actually a return to a golden age. And history can be edited in many ways, so it is a very flexible trick. Managers use it. But can it be more than a managerial trick to manipulate the organization? New research by Mary Jo Hatch and Majken Schultz in Administrative Science Quarterly shows how change can be created in a more autonomous fashion by employees reaching back into the organizational history. 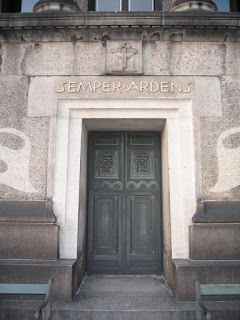 The research follows two distinct and independent occasions that Carlsberg brewery used its old motto, the latin phrase semper ardens (always burning) to foster change. In each case the users were different and the change was different, but the old and flexible motto proved a way to successfully make changes with less controversy. In one case, a group of master brewers working on their own used it to formulate, gain acceptance for, and launch a craft beer line, in stark contrast to the industrial beer that was the core of Carlsberg. In the other, it was proposed by consultants seeking to create a unifying statement for Carlsberg, which had become large and diverse through recent mergers,and then promoted internally in the organization. Even though these processes were unrelated, they followed a remarkably similar sequence. The steps are described in detail in the paper, but here I want to focus on the two final ones: renewing and re-embedding. Renewing is central when history is used to motivate change, because the new activities are never exact equivalents of the historical record. Indeed, the historical record can be unclear or even contradictory, so renewal is needed. 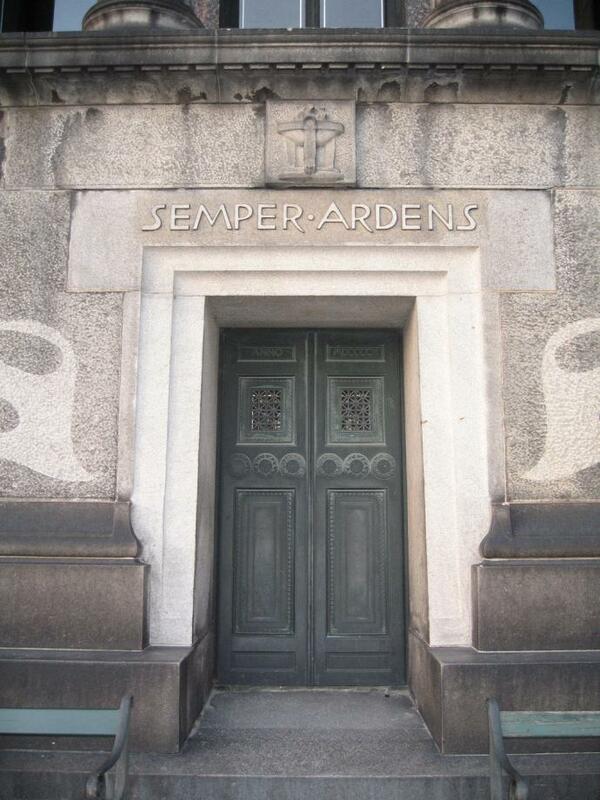 Semper ardens was a phrase favored by the second generation Carlsberg owner, but did not have any concrete brewing practices associated with it. But the master brewer team reached back into the brewing recipes from that time period, and combined these with the passion for improvement expressed through the “always burning” meaning to create beers that were distinct in taste and packaging. Re-embedding is actions taken to give the referral to history endurance in the organization. This is needed because the change attempts are frequent and often override previous ones, including those backed by history, so without embedding changes may become temporary. The master brewer team were able to embed semper ardens into the organization well enough that it lived on in a new craft brewery project even after the beer using it as a label was discontinued, and as a marker of distinction used when announcing extraordinary team efforts or noteworthy events. Thus the motto lived on in its renewed form of encouraging a passion for improvement at Carlsberg. And passion for improvement is, we might agree, useful both for organizations in general and for beer brewers specifically. Hatch, Mary Jo and Majken Schultz. 2017. Toward a Theory of Using History Authentically: Historicizing in the Carlsberg Group. Administrative Science Quarterly, forthcoming.